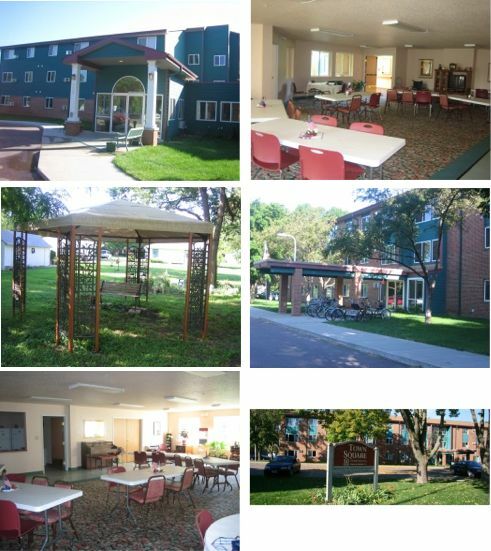 Vermillion: ‘Town Square’ 1- & 2-BR Apts ~ Quality Elderly & Disabled Housing w/Utilities Included & Elevator… Love being across from Senior Center & convenient to everything you need! Barrier-free units available. 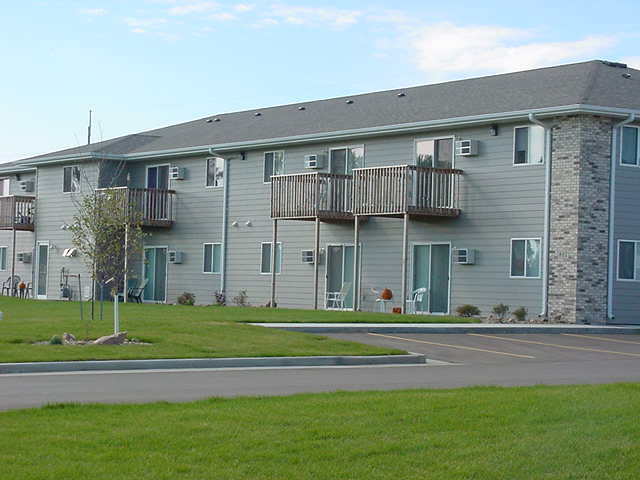 On Bus Route, A/C, Controlled Access, Appliances, Wireless Internet, On-Site Laundry, Parking Space, Close to Downtown Shopping, Service Coordinator, 24-Hour Maintenance, Site Manager, Community Room w/kitchen, Multi-Purpose Rm, Garden Areas, Large Closets.. 505 W Main St, Vermillion, SD. Office Hours: M-F, 9 AM-5 PM. Toll Free 1-877-521-8750; opmleasing@oakleafpm.com. Great Place to Call HOME! Government Income Limits Apply. Rental Assistance Avail To Those Who Qualify. Housing Vouchers Accepted. Income Based. Tax Credit. HUD Section 8. Electronic Funds Transfer available for rental payments. 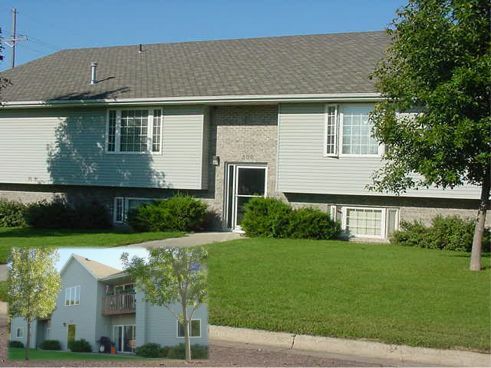 SUPERIOR Style, Design, Quality in these 4-Plex (Oak Park Apts) & 8-Plex (Aspen Park Apts) ~ only ‘3’ miles E of Sioux Falls in Brandon. Enjoy small-town living w/city amenities. Located close to Aspen Park, Swimming Pool, Softball Fields, Schools, Pavilion, Library, Strip Mall, Grocery Store w/easy access to I-90. Dishwasher, laundry hook-ups OR furnished washer/dryer, appliances, central A/C, LARGE closets, most w/garbage disposals, cable or DSL ready, GARAGE. Security Deposit $500. Litterbox Cat allowed in designated areas. Prefer 12-Month Lease (shorter possible). Carol (605) 360-8901; caroln@alliancecom.net. 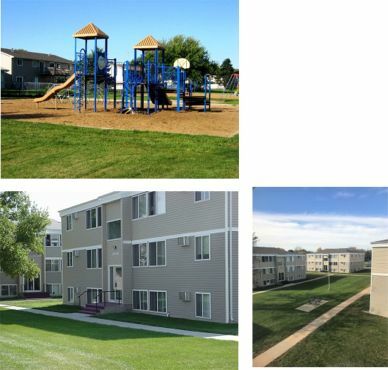 EXTRA Large 2-BR Apts (Holly “100”, Lakeside, The Sands, Englewood Estates, Dawn Lake, NBC Village & Holiday Manor). Babinski Properties offer clean, affordable Apts. Choose from a variety of styles to meet your individual needs. Water, sewer & garbage included in rent. Heat is generally included (The Sands has individual heat, central air & indoor pool!). All units have a deck/patio, controlled access, off-street pkg w/garages avail. No Pets, please. Babinski Properties. Schedule showings (605) 339-1053; babprop@midconetwork.com. Visit our website for more information. ‘MAJESTIC’ Brick Building w/long-term tenants enjoying a ‘well-cared-for’ home enhanced by lush landscaping & attractive mature tree-lined street. HEAT, water, garbage, lawn care/snow removal included! 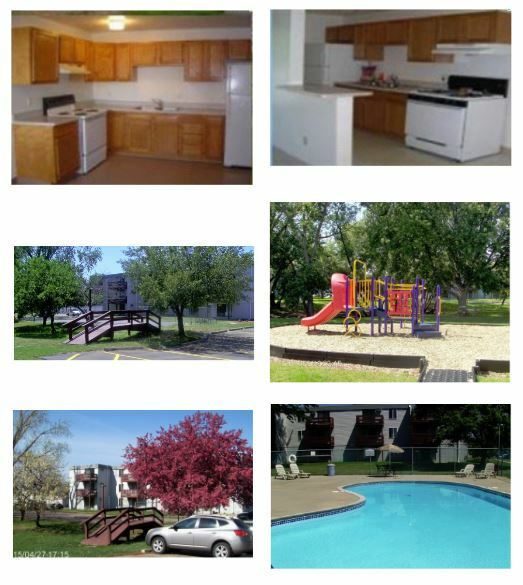 Lg closets, dishwasher, appliances, A/C, on-site laundry, controlled access. Delight in being close to vibrant, energized downtown w/its specialty shops, wellness/fitness center, Washington Pavilion, library, park, banks, unique Falls Park & museum within short walking distance! Cat Friendly. Non-smoking bldg. 12-Month Lease. 633 S Main Ave. 2-BR Apt. (605) 366-4293; Kevin.remax@midconetwork.com. 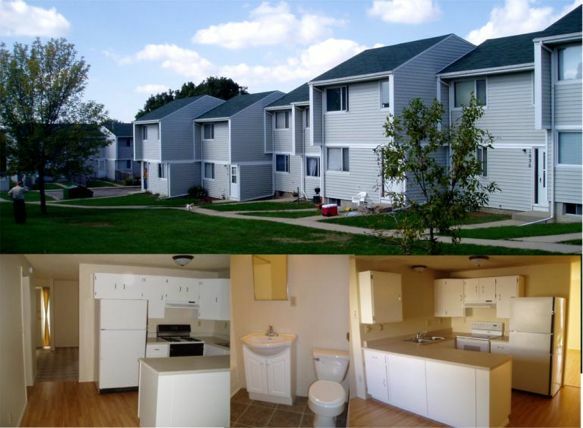 Affordable Housing at its Best ~ Warm & Inviting @ Meadowland’s well-maintained, clean, spacious multi-family Apts. Includes HEAT/water/trash removal. Stylish appliances, beautiful kitchen cabinetry, ceiling fans, updated counter tops/carpet/vinyl, vertical blinds, convenient laundry center in each bldg., lg living room windows, A/C, on Bus Route, 24-hr. maintenance. Members of Sioux Falls Crime-Free Housing. Enjoy friendly-professional on-site mgmt. Irresistible QUALITY & GREAT convenient location w/quick access to Empire Mall, strip malls, banks, schools, medical, churches, parks, variety of restaurants, recreational centers. Pet-Free Community. $300 Security Deposit. 12-Month Lease. 3601 S. Marion Rd. (W 41st St. & Marion Rd) Evenings/Week-ends by appointment (605) 361-2360; meadowland2@ross-management.com. Income Guidelines Apply/Sioux Falls Housing Vouchers Accepted. Ask about our great ‘Move-In Specials’. Finest in living @ an AWESOME price @ Brentwood Apts! Includes HEAT/water/trash removal. Inviting floor plans, spacious Living Rm w/walk-out balcony/patio, Dining Rm/some w/ceiling fan, galley-style kitchen w/natural oak cabinets, appliances, generous BR, linen & coat closets, High-speed internet/cable ready, A/C, blinds, Friendly/Professional on-site Mgmt Team, Pet-Friendly community/restrictions apply, fax/copier, NEW Playground, updated basketball court, outdoor pool, outdoor grill area, updated laundry on-site, off-street pkg, garage avail @ $25 & $50/Month, on Bus Route. 703 N Elmwood, a convenient location. LPM Properties LLC (605) 332-7141; information@legacy-developments.com. Income Guidelines Apply. 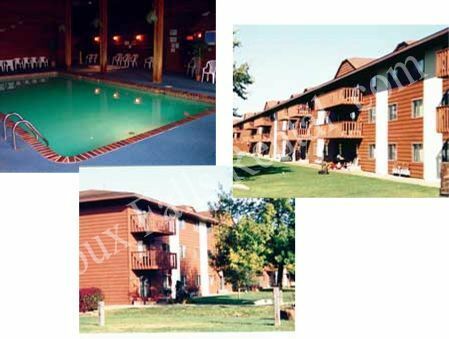 1-, 2-, 3-BR spectacular Apts. POOL, Fireplace (floor ‘3’ only), dishwasher, microwave, disposal, blinds, vaulted ceilings & ceiling fans, A/C, appliances, laundry facilities on each floor, controlled entry, Community Rm, private patio/deck. Garage avail. All 3rd floor units at Penbrooke have wood burning fireplaces. (except for the new executive building). Basketball & tennis courts promote great exercise & fun times. Enjoy‘plush’ landscaping. Enjoy nearby Malls, Sertoma Park, Bike Trail, Banks, Medical, Fitness Centers, Eateries & much more. Fast access to traffic arteries and I-29 & I-229 to travel City fast! Less than 1 mile to Colorado Tech & hop on the interstate for ‘quick’ drive to Southeast Tech Campus! Pet (Cat) Friendly w/Pet Deposit & Pet Rent. 6-Month Lease minimum @ Penbrooke Pl, 4100 Valhalla Blvd. (M--F 8 am-5 pm; Sat 10 am-4 pm) 605.361.4100; penbrookeplacemanager@hubbellrealty.com. 1-, 2-, 3-BR impressive Apts. Dishwasher, microwave, outdoor POOL, Breakfast Bar kitchen, walk-in closets, ceiling fans, laundry facilities on each floor, disposal, appliances, blinds, A/C, extra lg private patio/deck, controlled entry, brand NEW playground, clubhouse. Garage avail. Basketball, tennis courts & sand volleyball promote great exercise & fun times. Enjoy ‘plush’ landscaping. Enjoy nearby Malls, Sertoma Park, Bike Trail, Banks, Medical, Fitness Centers, Eateries & much more. Fast access to traffic arteries and I-29 & I-229 to travel City fast! Less than 1 mile to Colorado Tech & hop on interstate for ‘quick’ drive to Southeast Tech Campus! Pet Friendly w/Pet Fee & Pet Rent. Wheelchair access avail. 6-Month Lease minimum @ Autumn Park, 4401 Valhalla Blvd (M-Thu 8 am-6 pm; Fri 8 am-5 pm; Sat 10 am-4 pm) 605.361.0444; autumnparkmanager@hubbellrealty.com. 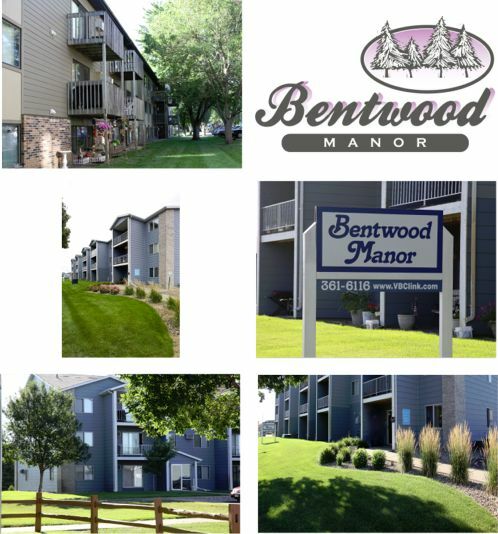 Bentwood Manor Apts, Westside Wonderful Escape! Beautiful ‘Park-Like’ community near Bike Trail & features Courtyard & Picnic Area nestled between mature trees. Just minutes from great restaurants & shopping w/easy access to Interstate. HEAT, water, trash included. 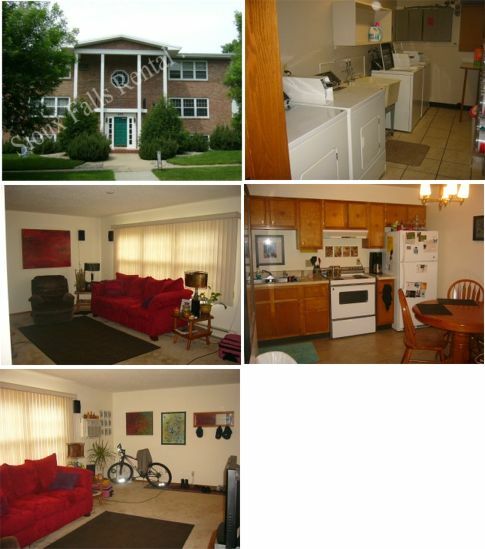 Spacious 2-BR Apts (some w/washer-dryer, garage, microwave). Cats Welcome! 5401 W 26 St. Wayne (605-361-6116; bentwood@vbclink.com. ‘Awesome’ Hayden Pointe Nestled in a Peaceful, Park-Like Residential Neighborhood Enhanced w/Beautiful Mature Trees/Spacious Lawns w/Convenience & Comforts by being 5 minutes from Empire Mall! We invite your inquires & suggest you take time for a first-hand look & recognize an on-site staff providing superior level of beauty, comfort, convenience! Truly, a hidden GEM campus to enjoy! We offer great storage lockers & garages, POOL, central Air/Heat, controlled access, dishwasher, appliances, walk-in closets, private Patios/Balconies, blinds, ceiling fans, cable ready, on-site laundry EACH floor, superior ‘soundproof’ with our cement structure, on-site maintenance, enormous surface parking lot. Fast access to I-29 to travel City quickly! Pet Friendly (cats/dogs) with breed restrictions. 6-, 9-, 12-Month Leases. Hayden Pointe, 3300 Westbrooke Ln (M-F 8 am-5 pm; Sat by Appointment). (605) 361-0868; haydenpointe@hubbellrealty.com. Swim Year Round in our INDOOR HEATED POOL! We have spacious 2-BR Apts located conveniently in a peaceful residential neighborhood close to schools, shopping, banks, eateries, & bus lines with easy access to I-229 for fast travel around the City. Small pets welcome. 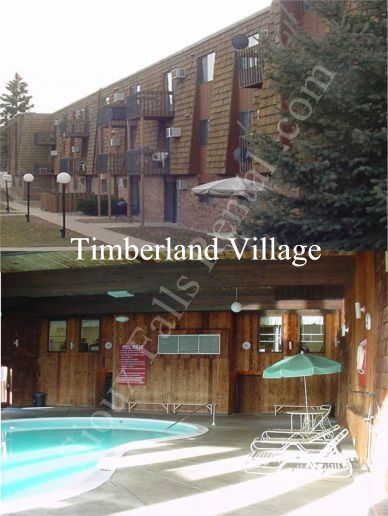 Stop by & see us @ Timberland Village, 3401 E 11 St (605) 334-0584; timberlandvillage@timberlandpartners.com. ‘Building Design’ Is Sleek ~ Smart ~ Radiates BEAUTY From Within! HEAT, water, garbage included @ Meadowbrook 2-BR /2-BA Apts w/attractive smart-looking kitchen—dishwasher, stove, ‘frig w/ice maker. Air conditioning, on-site laundry, deck, controlled access, off-street parking, garage w/opener avail. Quick access to arterial streets & ‘3’ Interstates for fast city travel! $400 Security Deposit. $45 cash application fee per applicant over age 18. Pet-Free/Smoke-Free Building. Crime-Free Multi-Housing Program. 4121 W Newcomb Dr (from I-29 & W 12th St go E to Lyons Ave turn S about 3 blocks). 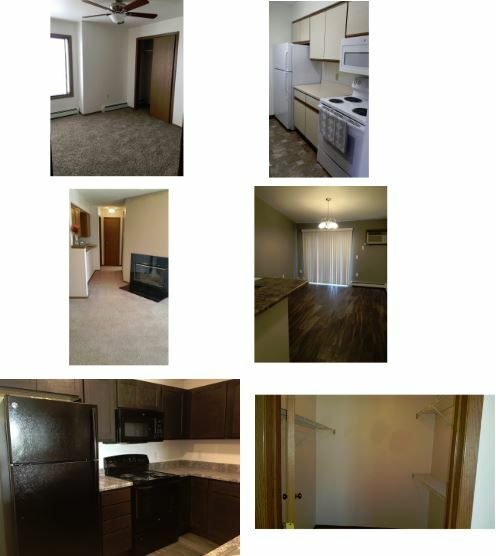 12-Month Lease (605) 275-4601; meadowbrookapartments@sio.midco.net.